A prepaid Visa card is a type of debit card that you can choose how much money to place on it. You can then give it to an employee so that he or she can spend the money that you have placed on the card to purchase items for your business. The best prepaid Visa cards are often referred to as debit cards due to the fact you must reload the cards with money. Debit cards are big business in the U.S. Both businesses and consumers alike use debit cards to make many purchases, and fewer people are choosing to carry cash for safety and security reasons. Debit cards have greatly increased in popularity over the last decade. The number of debit card transactions in the U.S. increased from 25 billion in 2007 to 69.5 billion in 2016. The value of the transactions increased from $0.97 trillion in 2007 to $2.56 trillion in 2016. How do the best prepaid Visa cards work? The best prepaid Visa cards have stringent expense control features. They have 16-digit card numbers and are branded as Visas, allowing you to use them wherever Visa is accepted. You can preselect the spending categories on each card, and your employees will not be able to use the cards to make unauthorized purchases. The best prepaid Visa cards should also have great security features. Who benefits the most from prepaid Visa cards? Businesses of all sizes can benefit from the best prepaid Visa cards. Small businesses that do not have the resources for internal accounting departments can benefit from the expense control and fraud prevention tools of the cards. Large businesses can benefit from using virtual prepaid cards so that employees can complete virtual card spending online without worrying about hackers stealing the numbers to access the businesses’ accounts. Large companies can also assign cards to departments so that they can keep better track of expenses by each department. The best prepaid Visa card has multiple benefits over a Visa credit card for businesses. The cards are not credit cards so that you will not need to submit to a credit check. Some cards give you better control over who can use each card, where the cards can be used, how much can be spent, and when they can be used. Unlike credit cards, purchases do not drive up your debt or result in interest charges. A virtual card is a type of prepaid card, but it is not plastic. Virtual cards are randomly generated card numbers that allow your employees to make one-time purchases for virtual card spending. If someone steals the number, the thief will not be able to use it to make other purchases or to access your company’s money. The virtual card number not work after you have used it for the purchase. It is an unfortunate fact that businesses are frequently targeted for fraud. Many perpetrators are trusted employees of the businesses. Smaller businesses have a greater risk of being victimized by fraud because they might have fewer resources for fraud prevention and detection. According to the Association of Certified Fraud Examiners, small businesses lost a median of $200,000 per fraud incident that was examined in 2017. This median loss was almost double the median loss of $104,000 that was suffered by large businesses. One way to help to detect and prevent fraud is to understand your business’s risk of fraud with this fraud calculator. You might then want to consider switching your expense management practices to a paperless system that includes business Visa debit cards from Bento because of their built-in fraud prevention tools. The best Visa debit cards from Bento are similar to the best prepaid Visa cards but are instead connected to a business bank account. The business Visa debit card from Bento also allows you to choose how much money to allocate to each card that you give to your employees and the spending limit on each card by the day, week, or month. You can also restrict each employee’s ability to purchase items to specific categories that you choose. If your employee attempts to buy something else, the purchase will be declined, and you will be notified so that you can handle the situation as you see fit. In a particularly egregious case of fraud, a trusted employee of a South Carolina car dealership stole $2 million of the dealership’s money over a period of several years. She was the assistant comptroller of the company, and the dealership’s owner considered her to be his friend. Deanne Ogden, the assistant comptroller, stole the money by writing that checks had been paid to vendors that didn’t exist. O.C. Welch, the dealership’s owner, noticed what happened after he looked at the books because he thought the profits should be higher because of the number of completed repairs. Ogden was convicted and was sentenced to eight years in prison. She also had to turn over more than $856,000 to Welch as partial restitution, and her daughter had to pay him $21,919 that Ogden had given her to use as a down payment on her home. The fraud that Ogden committed may have been caught much earlier or prevented if the business had used tighter controls card technology. Welch stated that he failed to check Ogden’s work because he trusted her. If he had given her a debit card to use that wouldn’t allow her to access the company’s money and that could only be used to pay approved vendors, the fraud may have been detected earlier and reduced. Another fraud case study shows how fraud can be perpetrated by trusted employees. In the case, an internal bookkeeper at a family-owned business in Chicago stole almost $100,000 over a four-year period through a scheme of check fraud. The bookkeeper, Kellie Kelly, worked at Graff-Pinkert & Company. She would type checks that were payable to vendors and take them to her boss for a signature. She would then take the checks back to her typewriter, erasing the vendors’ names with her erase key on her typewriter and making them payable to cash or to herself. The company did not detect the fraud until she went to Disney World on a vacation. The business credit card statement arrived while she was gone. The business owner looked at it and noticed multiple suspicious purchases, including items like a backyard shed. He fired her while she was still on vacation and notified the FBI. Kelly pleaded guilty to mail fraud and was ordered to pay Graff-Pinkert restitution. To understand how some of the best Visa debit cards can help you with expense management, it can help to consider how the cards might be used by a team of employees that each has different duties. For example, a construction business might have a roofing employee who needs to be able to purchases shingles, tar paper, and other supplies for a roofing job. You can give that employee a card that can be used to purchase those items but nothing else. Your office manager might need to pay for the utilities and to order office supplies. You can give her a card that can be used to make those purchases but that she can’t use later at a restaurant. Your ability to restrict the spending on each of the prepaid Visa cards that you give to your employees to only certain types of spending can help you to tightly manage the expenses that your company has. You can see how your company’s money is being spent at any time by logging into your dashboard. If you see any problems, you can turn an individual card off immediately by tapping or clicking a button. Modern business cards offer multiple benefits that you couldn’t find with cards in the past. The best prepaid Visa cards allow you to control the spending levels in each expense category and on each of the best prepaid Visa cards that you give to your employees. They are simple to use and allow you to turn them off and on remotely and in real time. Accounting departments love the best Visa debit cards from Bento because the cards save the departments time and money. Since the best prepaid Visa cards can integrate with your company’s accounting software, the information about each purchase can be automatically uploaded so that fewer errors are made because of manual entry issues. 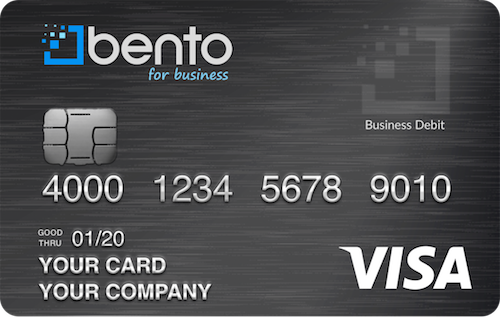 The best Visa debit card for business from Bento offer great spending control and expense management. Bento for Business’s focus on providing businesses of all sizes a better way to control and manage their expenses has led to thousands of businesses in the U.S. choosing Bento for their business card and spending needs. The company has been featured in many national publications and has earned great reviews, including a perfect score on Capterra. The best business debit cards from Bento have several layers of security. 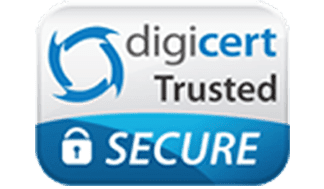 Your deposits are insured up to $250,000 by the FDIC, and the company uses 256-bit SSL encryption technology and Digicert. You can try the best business Visa debit card for business from Bento for a free 60-day trial. Call us at 866.220.8455 to get started.